After the rollercoaster week that was the Champions League and Europa League, it is back to the normality of domestic matters. Man United and Spurs will be on a high after their dramatic victories over Juventus and PSV Eindhoven whereas Liverpool will be looking to pick up the pieces after their crushing defeat to Red Star in Belgrade. This week is the last round before November's international break so it is crucial to get the starting line-ups right to go in the down period feeling good about life. 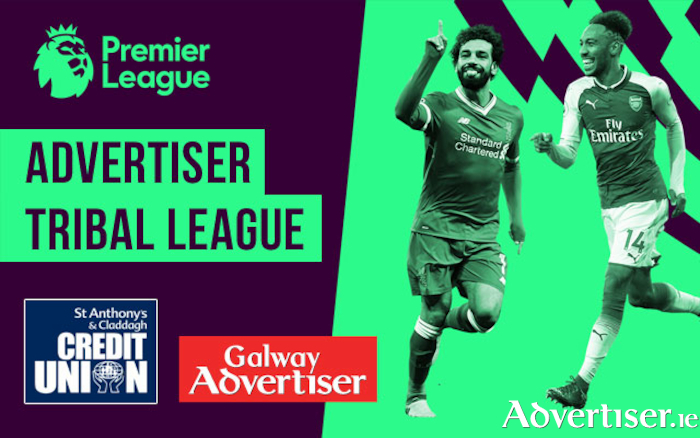 So which players should you select to get you moving in the right direction in the Advertiser Tribal League in association with St Anthony's and Claddagh Credit Union? Notwithstanding the blanks fired in his last outing against Liverpool, the Gabon international is in wonderful form with seven goals in eight league games. The Gunners are unbeaten in nine matches in spite of the stalemate last night against Sporting Lisbon at the Emirates. On Sunday, Unai Emery's men host Wolves in North London. The newly promoted side are in mid-table at present after an impressive start to life at the top table but have lost their last three matches. I am expecting a home win with Aubameyang on the score sheet. Make him captain for double the points. After a dreadful end to last season and an even worse beginning to this term, the Spanish forward may be finally showing the world why Chelsea spent £70 million on him. Morata has found the back of the net four times in his last four appearances and I can see him continuing his good form this Sunday at the Bridge when Everton come to town. The Toffees are in decent form with three wins from four but their defence has proved to be leaky with only one clean sheet in that period - that came against Crystal Palace - the fourth lowest scorers in the league. Get Morata in your team. The striker is one of the hottest properties in the league at the moment with four goals and three assists in his last five outings. On Saturday, the Cherries make the monster trip up to the north-east to face Newcastle who won their first game of the season last weekend against Watford. To be brutally honest, the Magpies should been hammered by Watford and I believe normal service will be resumed this weekend with Bournemouth handing Rafa Benitez' men another defeat and Wilson adding to his impressive goal tally.